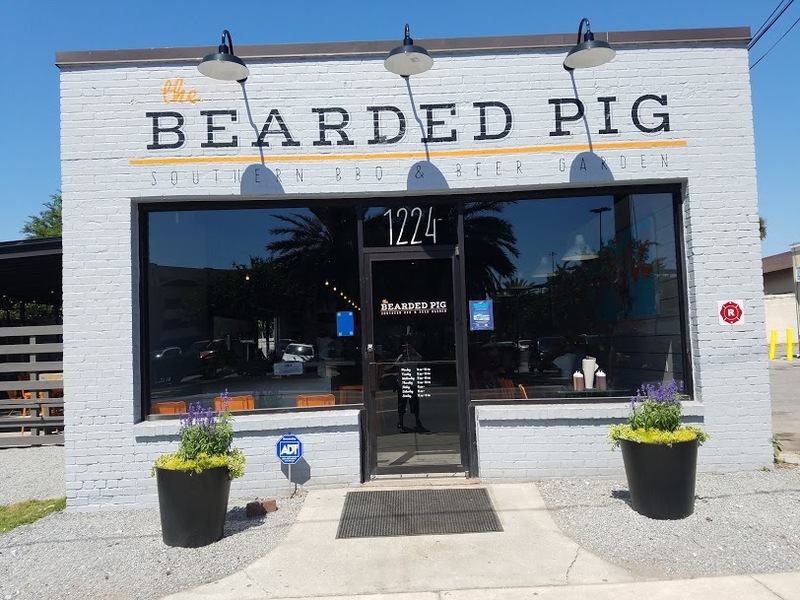 We waited until after the soft opening to visit, and good we did. 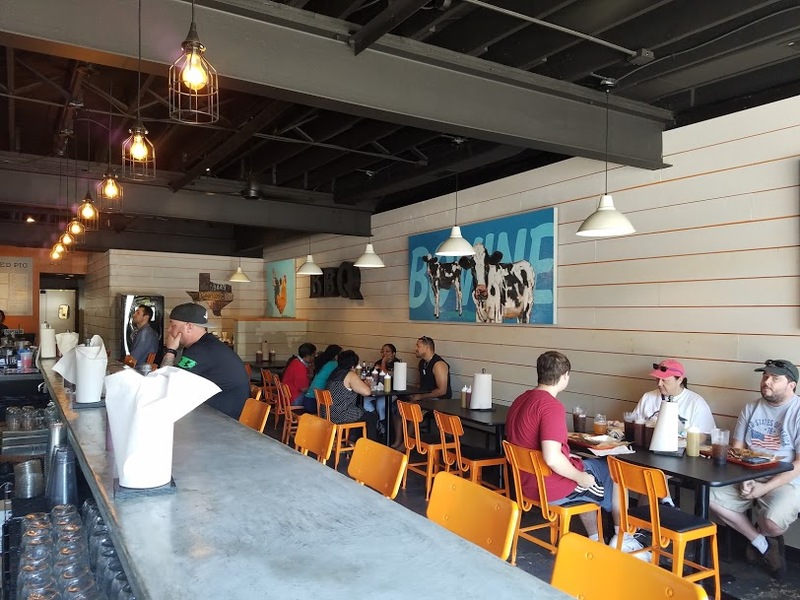 The first reviews and comments were not favorable, poor service, inconsistent portion sizes, running out of food, does not make a good first impression. When we visited on Mothers Day, all of the negative thoughts we may have arrived with, were dispelled by the time we left. 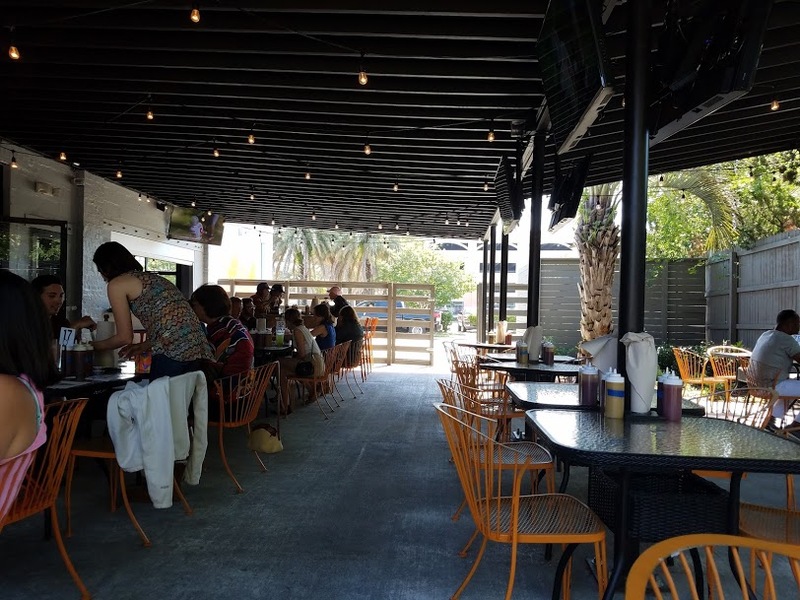 This is a great spot, mid sized inside, and the outside is absolutely wonderful. 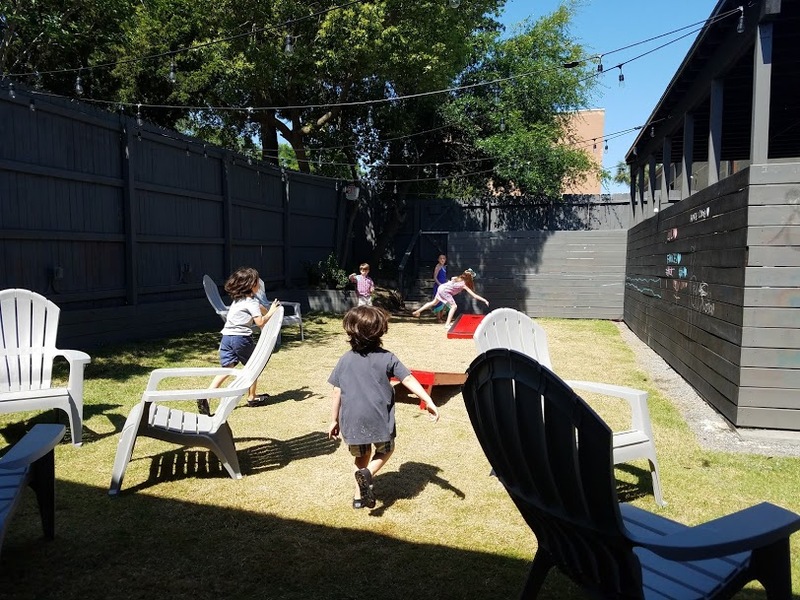 Not normally a kid person, it was delightful to see them running around in a grass covered yard laughing and having fun, writing on the fence, playing games, as opposed to being stuck at a table with adults waiting for the food to show up. This is an order at the counter set up, get your drink and take a number the food will be delivered. The menu offers starters, platters, meats sold by weight, sandwiches and sides plus desserts. 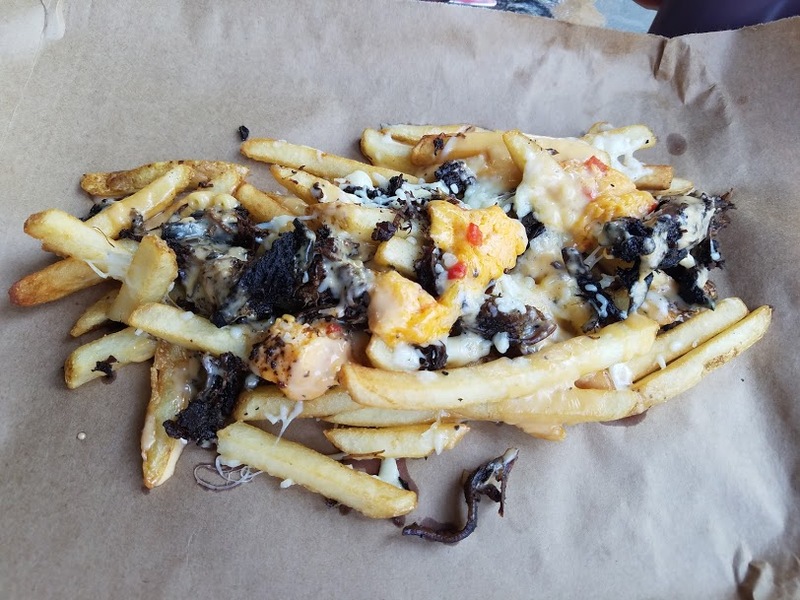 We started with the Bearded Poutine, in my world Poutine is a dish consisting of french fries, topped with cheese curds and covered with gravy, the Bearded Poutine, fries with mixed meat and some type cheddar bits, not looking like curds, and not a drop of gravy. We were not fans. Dry with little flavor did not appeal on any level. When it came to the food, we all ordered the same things in different weights. First order, one slice of quarter lb fatty brisket with one of the biggest ribs you may ever see, a giant Prime Rib rib, at a cost of 22.00$$, it was a several day of left over meal item for sure. Served with a small salad and some nice pickles with sliced onions. A nice balance to cut the richness of the meat. 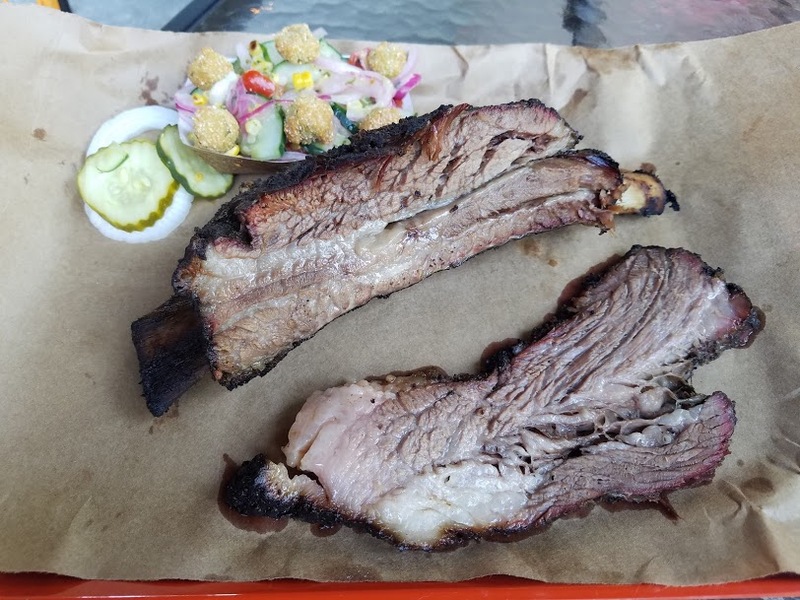 The male in the trio went with the half rack and fatty brisket, the ribs on this plate were so large we thought they must have made a mistake. This man who can devour just about anything put in front of him had to step back. 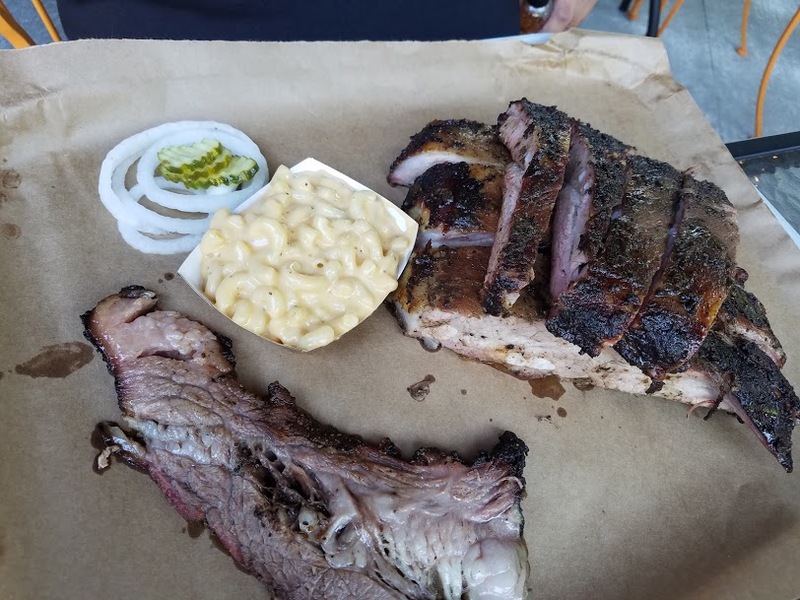 I was a little more reserved in my size choice and went with the quarter rack and fatty brisket, plus a side of Mac n Cheese. 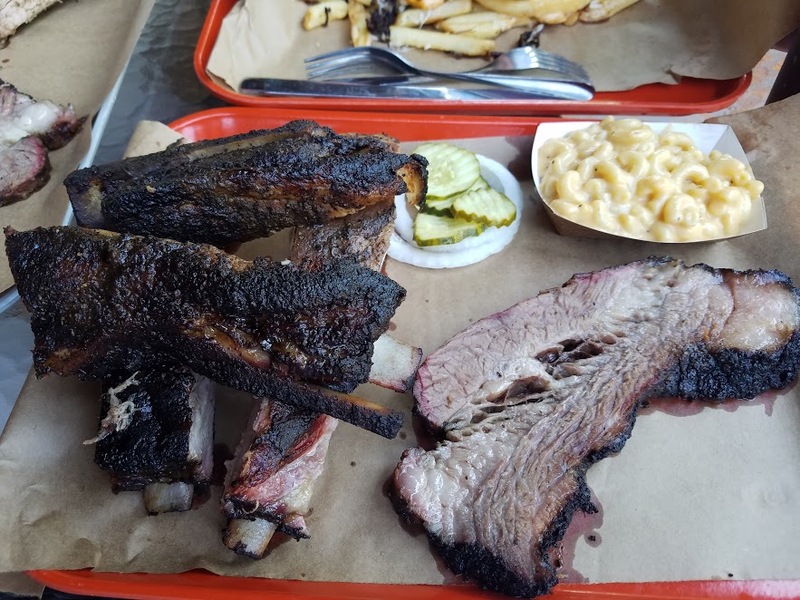 When my plate arrived it was almost identical to the half rib, the individual ribs are massive. I started with the brisket which may have been a mistake, once I got the flavor all thoughts of ribs left the room. Meat just a drop above rare, tender and flavorful, it may have been the best brisket I have ever tasted in this town. So I finished of a man sized portion of brisket now what to do with the ribs. I gave it my best try but was only able to finish off one rib. The Mac and Cheese while not gourmet quality, it had a nice creaminess and a flavor that was pleasant on the taste buds. The side pickles brought some sanity to the richness of the meat. As you can see from the pictures, this meat was cooked beautifully, well seasoned, smokey, tender fall of the bone, moist, meat nirvana. Pig makes their own sauces, and I am sure they are fine, we were so happy with the meat as it was it never occurred to us to do anything to change the flavor. If you’re not a fan of all that meat they offer light and dark chicken, and locally made sausage. A kids menu offers hot dogs chicken fingers and BBQ sandwich. You can finish up with a choice of Chocolate Chip cookie, Banana Pudding or a Nutella Brownie Sundae. I did see the Nutella being served at a table next to us it was looking pretty amazing. Next time. From our visit it appears the restaurant has found its stride, service is friendly and efficient, and we were checked on often. The food, I have eaten BBQ at several spots in town and am not married to any of them, but the next time I feel a meat fix coming on I am going to ring my besties and suggest we head over the The Bearded Pig, for a feast, please try it with your crew, and if you have children bring them, they will have a great time while waiting for the food to arrive, oh and don’t forget the dog.